Further, the Bahrain Petroleum Company (BAPCO), the largest corporate in Bahrain, has awarded the so-called Green Innova, under the consortium formed with JLanka, in order to operate and maintain solar power plant contracts installed at the University of Bahrain and at a number of BAPCO facilities. The senior most officials of JLanka Technologies Ltd., based in Battaramulla in Sri Lanka, visited Bahrain on several occasions in order to compete on the highly competitive international bidding process for the said mega project. The delegation from JLanka Technologies included its highly dynamic and visionary CEO and Chairman, Dr. Mayura Jayasoma, Chief Operating Officer Jayantha Jayamanna, Director of JLanka in Bahrain, Arooz Zubair and Chief Business Development Officer Magdy Elnemer respectively. The delegation met with the Ambassador of Sri Lanka to the Kingdom of Bahrain, Dr. A. Saj U. Mendis, at the Embassy, on several occasions, in order to strategise and to navigate the courses of action to fructify the aforementioned project, which was competed and vied by a number of highly reputed global solar power and renewable energy corporates. 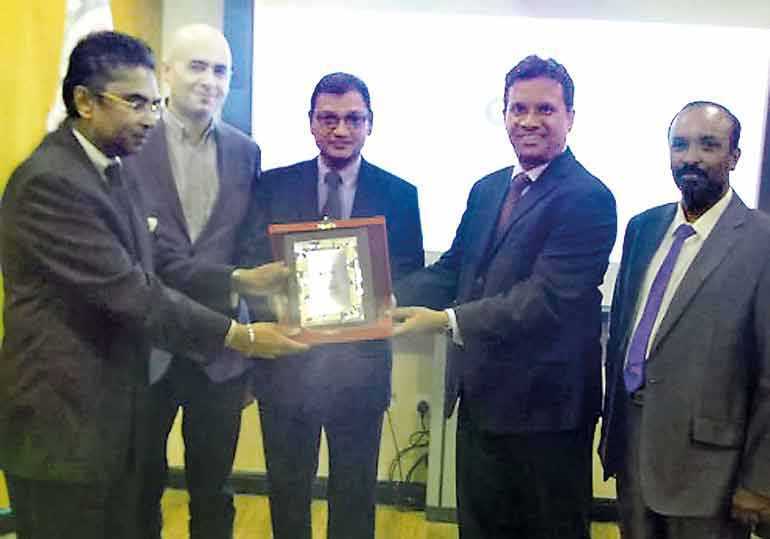 The foray of JLanka Technologies to Bahrain forms the first foreign business venture outside of Sri Lanka and views Bahrain as the international headquarters of JLanka International of the parent company JLanka Technologies of Sri Lanka. Currently, the JLanka has over 40 highly trained scientists and engineers and a state-of-the-art Research and Development facility as well. According to the CEO Dr. Jayasoma that the entry into the Bahrain market would enable JLanka International to transcend its capacity and technical know-how to the highly lucrative and prolific markets of Gulf Cooperation Council (GCC) and Middle East. Given the quantum of the investment of $ 10 million by JLanka, the JLanka would extend and provide high-skilled and highly specialised employment to Sri Lankan engineers, IT professionals, technical personnel, structural consultants and R & D officers, among others. Ambassador Dr. Mendis and Director of JLanka in Bahrain, Zubair, were convinced that the expansion and commitment of investment as well as technology transfer would further materialise more employment opportunities of skilled and highly skilled nature for Sri Lankan nationals in the near future. Ambassador Dr. Mendis also stated to both the UN Ambassador in Bahrain, Amin El Sharkawi, and to Director Arooz Zubair that the selection of a Sri Lanka high-tech entity, founded only in 2011 i.e. JLanka Technologies, was a cogent and convincing manifestation of the trust and capacity the Sri Lankan corporates and Sri Lankan personnel possess since they could successfully compete for mega international projects on global economic and commercial theatre.